The check engine light can come without any warning and explanation. This can refer to a number of problems that can either be big or really small. 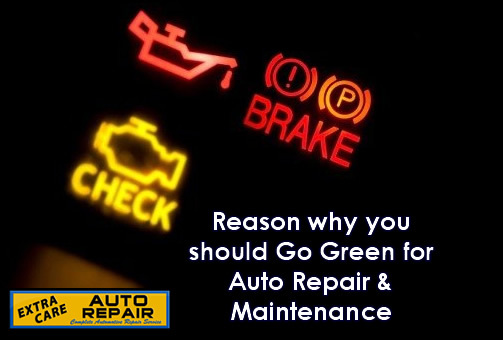 However, no matter how major or minor the issue is, you should go to a workshop and have a mechanic check your car. The check engine light refers to various problems, including a loose gas cap or a bad catalytic converter. This is also known as the Malfunction Indicator Lamp (MIL). The small computer in the car’s engine sends the signal. This light is one of the most irritating and confusing facets of owning a car. It is impossible to determine the actual problem immediately after the light turns on. While some of the problems would require you to visit your mechanic and might cost you a hefty amount, there are some minor issues you can check yourself. If you drive a high-end car, make sure your mechanic can deal with it as your car might come with a advanced and complex computer system which requires skillful mechanics. Therefore, that is one of the many pointers you should keep in mind before taking your car to a workshop. This part monitors the amount of fuel your engine burns. If there is any fault in the sensor, the light would immediately come on. This is one of the most important components in your engine as it not only tracks the level of fuel efficiency but also monitors the gases the exhaust system releases. It can become faulty when the sensors accumulate a certain amount of oil and dirt, restricting them from working perfectly. This can cause a decrease in the mileage and could make the engine weak. If the check engine light of your car is on due to a poorly working oxygen sensor, you should replace it with a new one as soon as possible or else it would lead to more complex and expensive problems. As you must know, gas is highly volatile, it can evaporate if it is not kept in an airtight tank. If the gas cap of your car is loose, the engine light would show up. While this might sound like a negligible problem, you should know a loose gas cap cannot only make all the fuel evaporate but can also cause a massive reduction in gas mileage.